What is PVC Recycling In Hospitals? The PVC Recycling in Hospitals program is an initiative of the Vinyl Council of Australia and is proudly sponsored by Baxter Healthcare. It aims to collect high-quality, used PVC medical products for recycling into useful new products. The program began as a pilot at Western Health in Victoria in 2009 and has since grown to encompass over 90 hospitals across Australia and New Zealand. When a hospital signs up to start PVC recycling they're provided with recycling bins, posters and training material for staff. Nurses separate three PVC products for this recycling program: IV fluid bags, oxygen tubing and oxygen masks. However if these products are contaminated with bodily fluids or harmful medications e.g. chemotherapy, they must be disposed of into the appropriate waste bins. Polyvinyl chloride (PVC) is a polymer derived from oil and salt – and is a plastic widely used in clinical applications for over 40 years. It may be identified on products or packaging by the Plastics Identification Code ‘3’. Common healthcare products include IV fluid bags and blood bags, oxygen tubing and facemasks. Plastics are a significant share of hospital general waste. It has been estimated that all plastics account for about one third of a hospital’s general waste, most of which is sent to landfill. Of all plastic waste generated by a hospital, PVC medical products are estimated to represent about 25 per cent. Why Should My Hospital Recycle PVC? Everyday clinicians are making an important contribution to patient health. With the PVC Recycling In Hospitals program, clinicians can also contribute to the health of our environment. Recycling PVC is quite easy, with over 90 hospitals across Australia and New Zealand already participating. Recycling PVC can be cheaper than disposing to regular waste . Generally, about 30 per cent of waste within operating theatres and intensive care units is infectious; the remainder is dealt with as general waste and sent to landfill. 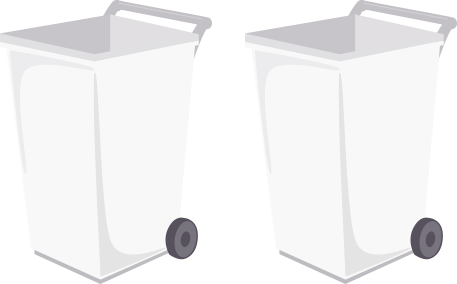 Recycling clean PVC instead of putting it into waste bins can lead to positive environmental outcomes and may reduce the costs of hospital waste management. Recycling plastics saves energy and conserves valuable raw material resources. A recycled plastic product (including PVC) has approximately one quarter of the embodied energy compared to an equivalent product made with virgin resin. A lifecycle assessment conducted by the University of NSW showed that recycling PVC fluid bags instead of disposing them in either clinical or general waste resulted in a carbon footprint reduction. Recycling PVC in comparison to incineration can result in a 77% reduction in carbon dioxide emissions. Recycling PVC in comparison to landfill can result in an 18% reduction in carbon dioxide emissions. The PVC Recovery In Hospitals program may help your ward or hospital to reduce waste management costs by diverting PVC from the more expensive disposal options of clinical waste and general waste. Further, when you recycle PVC you are doing the right thing by preventing quality reusable materials going to landfill. You are also supporting local jobs and manufacturing as your PVC gets a new life as hose or safety mats. Which Are the Best Areas to Pilot PVC Recycling? Hospitals already involved in the program agree Theatre/Recovery, ICU and Dialysis are the best areas to start with. These areas are relatively controlled environments and they also use a lot of PVC that is clean after use. What happens to the PVC after I recycle it? 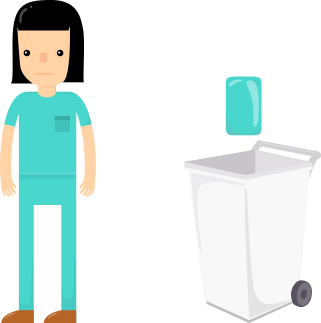 Through training and education, nursing staff can learn to easily separate PVC products and dispose of them in the PVC specific recycling bins. PVC recovered from healthcare products is of relatively high quality as the original products are generally clear rather than coloured. It is then washed and granulated. It is then turned into new useful products such as playmats, garden hose, and floor coverings. It is not made into in new medical products for quality assurance reasons. The Vinyl Council of Australia believes vinyl products have a valuable role to play in a sustainable society. The Council is a member-based organisation established in June 1998. It acts as the peak organisation representing the Australian PVC (vinyl) value chain. Council members come from across the supply chain of the vinyl industry in Australia, representing a wide range of everyday products, including flooring, pipe, windows, cable and gift cards. The Vinyl Council is working to advance the sustainability of the PVC industry in Australia through sharing information on, and engaging with stakeholders regarding the life cycle, benefits and recyclability of PVC. The Council advocates the responsible manufacture, use and disposal/recycling of PVC products. It fosters cooperation between member companies, governments and organisations. The Council provides leadership to its members in Product Stewardship and best practice to encourage industry advances and operation to the highest standard. The Council provides members with a forum for the advancement of the industry. Baxter's mission to save and sustain lives inspires our work and our commitment to deliver products and services that are essential building blocks of healthcare. Sustainability is central to Baxter’s vision of building a truly great company by providing enduring value for all stakeholders. All industries across Australia and New Zealand have the responsibility to ensure that the products that they manufacture have as little impact on the environment as possible. In Australia and New Zealand the ultimate goal of Baxter is to ensure that every product we make goes through a recycling stream and not into landfill. Baxter's sustainability goals are focused in the areas of natural resource management, waste management and greenhouse gas emission reduction. Matta Products Limited is a New Zealand company that designs, manufactures and markets to the world the Play Matta™ range of playground safety surfacing. Play Matta™ represents the new generation of high performing safety surfacing designed to enhance the creative and inviting playgrounds of today. Departing from all existing playground surfacing solutions Matta Products pioneered a new manufacturing process and began producing the Play Matta™ range in 1992. With strong roots in recycling Matta Products has perfected the technique of turning waste rubber and PVC into a two-layered playground surfacing system consisting of impact absorbing rubber shock pads overlaid by durable and attractive modular tiles. Our products carry Environmental Choice certification from the New Zealand Ecolabelling Trust. The ecolabels Environmental Choice New Zealand and Good Environmental Choice Australia are part of the Global Ecolabelling Network. As a vinyl-focused polymer compounder originally formed from the vinyl compound business of Orica Australia (formerly ICI Australia) and PolyOne, Welvic is one of Australia’s largest polymer compound business's. With a wealth of hands-on experience and knowledge of the local market place, Welvic remains the Australasian market leader in vinyl compound, renowned for delivering superior value and innovative compound solutions that meet the specific needs of our customers and their markets. 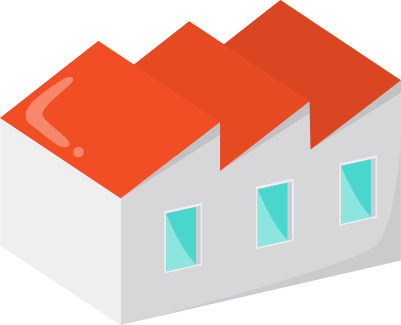 Our Australian manufacturing base supplies our customers with a full range of compounds and means an efficient, responsive supply chain, giving flexible and reliable supply and on time delivery. See how you can get started recycling PVC in your hospital!